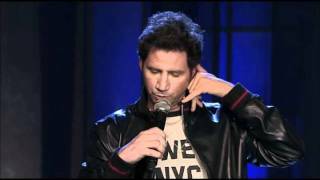 Jamie Kennedy is a true renaissance man, covering the genres of comedy, drama, animation, reality, horror, action and thriller. Along the way he has also written his own book ‘Wannabe’ and recorded his own record ‘Blowin’ Up.’ Kennedy stands now with the experience of being a part of over 40 films with such industry entities as Dimension, Fox, Universal, Warner Bros., New Line, Sony, and Disney, totaling a gross of over 2 billion dollars in worldwide box-office sales. He has appeared on Oprah, The Ellen DeGeneres Show, The Tonight Show with Jay Leno, Late Night with Conan O’Brien, Late Late Night with Jimmy Kimmel, George Lopez, and Larry King Live to name a few.